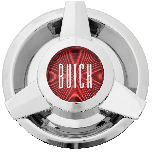 If you are looking for original equipment Buick wheels from the 1940s through the 1960s, this is the right choice for you! Our Buick Wire wheels are built to the highest standards in a manufacturing facility in the United States. 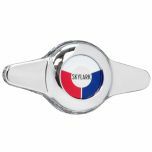 It features a 5x5 bolt pattern and 56 stainless steel spokes that are sealed on the inside of the rim allowing you to use this without a tube. As this is a tubeless wheel, remember the valve stems! Our chrome sleeve stems are a great pairing. Yes, your 1970 Electra should have the matching 5x5 bolt pattern, and the original wheel size was 15x6. 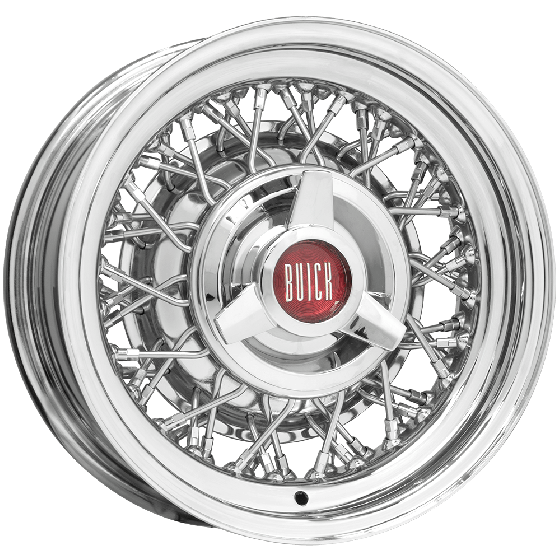 Will the 15X6 Buick Wire wheel fit a 1966 Buick Lesabre with the stock 4 wheel drum brakes? 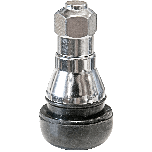 There are typically no fitment problems associated with mounting wire wheels on stock drum brakes. 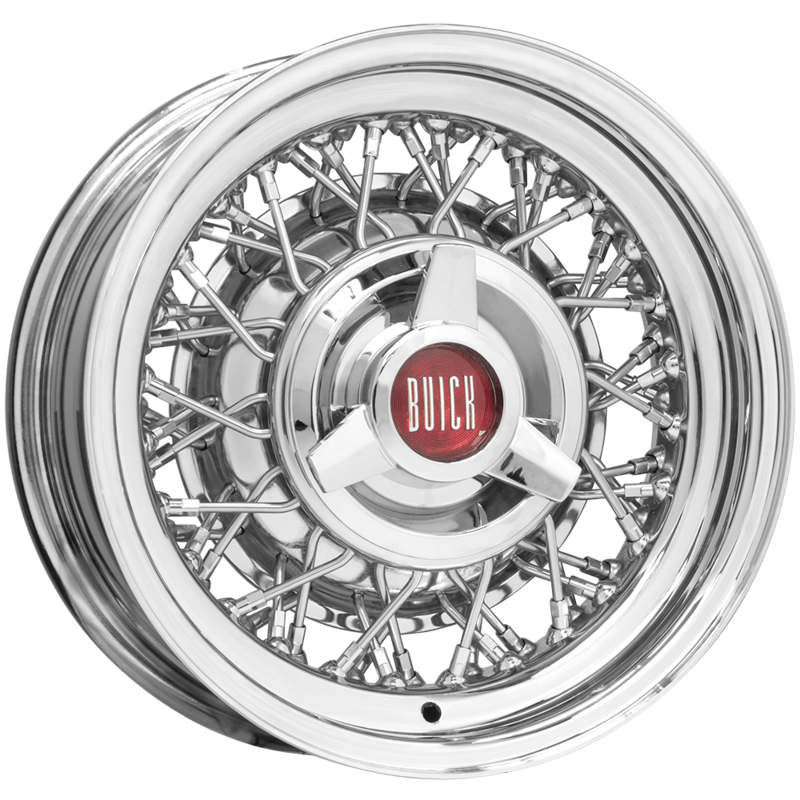 Will your Buick Wire Wheel fit my tires size P185/75R14 on my 1970 Buick Skylark Custom? The 14x6 Buck Wire will fit a 1970 Skylark, but the recommended tire size is 215/75R14.